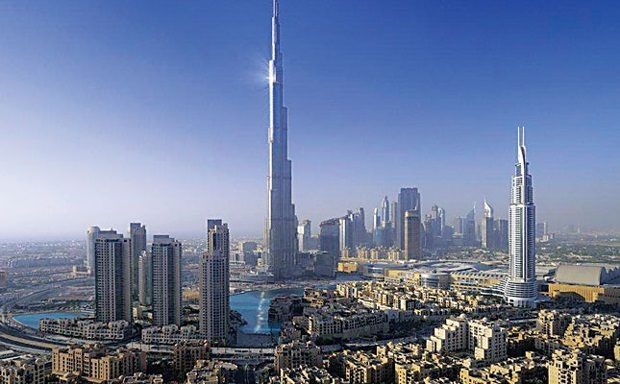 Dubai: If you have the money, you can land a good deal for an apartment in the Burj Khalifa. Asking prices at the skyscraper have recorded a 25 per cent decline in the last months, according to the new Dubai real estate update from Cluttons. The consultancy lists the Burj as being the “weakest performer” among Dubai’s freehold options, with 12 of the 32 submarkets it tracks seeing price declines in the first quarter of this year. During the three months, Burj Khalifa units recorded a 6.9 per cent drop in prices, Cluttons adds. Currently, a one-bedroom unit of 826 square feet on one of the Burj’s lower floors, and facing the fountain, is listed at Dh2.8 million, while a higher placed two-bed apartment (1,888 square feet) — also with a fountain view — is asking for Dh5.28 million. Also under price pressure were the Hattan Villas at The Lakes (down 13.5 per cent in the last 12 months), Hattan Villas at Arabian Ranches (down by 12.6 per cent), villas on the Palm (down by 12.3 per cent) and apartments on the Palm (down by 11 per cent). “The aversion to luxury, high-end homes stems from underlying affordability issues and perhaps more importantly, nervousness borne out of uncertainty surrounding the health of the global economy,” states the report. The stronger performers emerged from Victory Heights (averaging Dh1,125 per square foot), Arabian Ranches (Dh1,115 per square foot) and Emaar developments in Downtown Dubai (Dh2,100 per square foot), with prices holding steady over the last 12 months. That Downtown values are holding while the Burj took a bit of a slide is surprising. Meanwhile, with so many off-plan launches taking place in Dubai, price pressures in the secondary market will be intense. More so as some of the recent launches at established clusters have come up with prices lower than those on ready properties. All of the launches, current and upcoming, “is driving annual deliveries well above the five-year average, with expectations that these numbers will continue to rise in the short to medium term as new master plans come on stream,” commented Mat Green, Head of Research & Consultancy UAE, CBRE M.E. “The competition to attract investors is also rising, meaning developers are having to become more creative to sustain desired levels of sales velocity. “This has driven the formulation of new sales strategies aimed at expanding the size of the potential investor base and to appeal to new demographics of untapped demand. The main concentration of these strategies has been towards payment plans and lower ticket prices,” he said. That’s right. A common thread running through many new releases, especially in emerging locations, have the developers offering extremely favourable post-handover payment plans. Some offer fully furnished apartments and still come in at a discount to ready property prices. Buyers wanting to sell now have a fight on their hands. The market data firm Reidin notes that secondary market transactions in Dubai were down 18.4 per cent in 2016 — to total 11,239 deals — from the previous year. At the same time, off-plan sales represented 53 per cent of all deals (23,844) last year. “The emergence of favourable payment plans continues to tempt buyers — and perhaps investors — to a greater extent,” says the Cluttons report. “A number of recent project launches have … plans amounting to payments of between 30-40 per cent prior to completion. • Freehold clusters which are seeing new handovers consistently will add to the rental pressures they are facing. The Cluttons report suggests a further 5-7 per cent dip in rentals during the year, on top of the 9.9 per cent they dipped in 2016. “A key factor in the rental market’s fortunes will be its ability to absorb the strengthening stream of buy-to-let homes, which has already upset the delicate supply-demand equation,” said Faisal Durrani, Head of Research at Cluttons. • In its forecasts, CBRE reckons that rental rates fell by an average of 1 per cent during the first quarter of 2017, “primarily driven by pressure on larger apartment units”. Landlords are also becoming increasingly flexible with rental rates and tenants are able to negotiate.